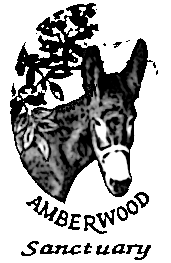 Wild Horse and Burro Program Mismanagement at Its Worst! from All the Missing Horses: What Happened to the Wild Horses Tom Davis Bought From the Gov’t? September 28, 2012, 3:13 p.m. The Bureau of Land Management (BLM) faced a crisis this past spring. The agency protects and manages herds of wild horses that still roam the American West, rounding up thousands of them each year to keep populations stable. But by March, government pens and pastures were nearly full. Efforts to find new storage space had fallen flat. So had most attempts to persuade members of the public to adopt horses. Without a way to relieve the pressure, the agency faced a gridlock that would invite lawsuits and potentially cause long-term damage to the range. So the BLM did something it has done increasingly over the last few years. It turned to a little-known Colorado livestock hauler named Tom Davis who was willing to buy hundreds of horses at a time, sight unseen, for $10 a head. The BLM has sold Davis at least 1,700 wild horses and burros since 2009, agency records show—70 percent of the animals purchased through its sale program. and the tough partners of cowboys. In a sense, the Bureau of Land Management—the part of the Interior Department assigned to oversee the wild horse program—succeeded in this a bit too well. Protected horses naturally began to reproduce and by 1983 there were an estimated 65,000 horses and burros on the range, competing for resources with cattle and native wildlife. Adoptions kept pace with roundups until investigations in the late 1980s and into the 1990s showed that many adopters, including several BLM employees, had turned a quick profit by selling the horses to slaughterhouses. To discourage such re-sales, the BLM began holding the title of sale for a year. Today the agency says it visits almost every adopter for a “compliance check” within six months to make sure horses are well cared for. The restrictions protected horses but discouraged adoptions, a trend compounded more recently by a bad economy and soaring hay prices. Today, only one in three captured horses finds a home. 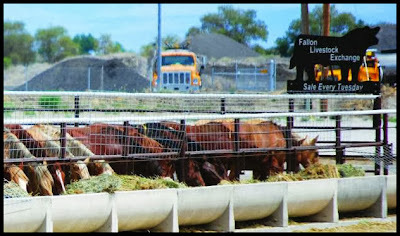 The rest go into a warren of tax payer-funded corrals, feed lots, and pastures collectively known as “the holding system.” Since horses often live 20 years after being captured, the holding population has grown steadily for decades from 1,600 in 1989 to more than 47,000. There are now more wild horses living in captivity than in the wild. Cost pressures prompted Congress to pass a last-minute rider to a 2004 law directing the BLM to sell thousands of old or unadoptable wild horses for $10 a head without restrictions—even for slaughter—but the agency has not done so, fearing public outrage. Instead, since then, the BLM has been selling horses but requiring buyers to sign contracts saying they will “not knowingly sell or transfer ownership of any listed wild horse and/or burro to any person or organization with an intention to resell, trade, or give away the animal for processing into commercial products.” Violating the agreement is a felony, but there are no compliance checks similar to those done when horses are adopted. 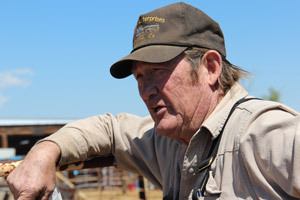 Davis, 64, a plain-spoken man with a sun-beaten brow, makes his living hauling livestock but says reselling wild horses now accounts for a substantial part of his income. By his own account, he has worked around horses all his life—on racetracks, on ranches, and even rounding up wild horses for slaughter before the 1971 law put a stop to the practice. At the bottom of the application, Spencer wrote that she and Davis had “Discussed goal of providing a good home and making sure none of the horses end up at slaughter plants.” A few weeks later, the BLM sent Davis 36 wild horses from its Cañon City, Colorado, holding corral. That was the only load the BLM sent Davis in 2008, records show. But in 2009—a few months after the meetings about the holding crisis and two weeks after Salazar became head of the Interior Department—the agency started sending him truckload after truckload, from all over the West. Soon he was by far their biggest customer. Davis has paid the BLM a total of $17,630 for the animals, far less than BLM has expended to provide them. The agency estimates it costs $1,000 to round up a wild horse, and records show it has paid as much as $5,000 per truckload to ship them to Davis. Similar horses that are not acquired from the BLM and can legally be sold for slaughter fetch $300,000 to $600,000 on the open market, according to sales prices from regional livestock auctions. Davis Purchased From the BLM? Other people who find homes for rescue horses in the region say they rely heavily on advertising and websites to connect with buyers. Davis does not appear to do so. According to brand inspection documents required by Colorado when livestock is sold or shipped more than 75 miles, Davis and his wife say they have sent 765 animals with BLM wild horse brands to a sparsely populated stretch of arid brush country along the Mexico border in Kinney County, Texas. (The records do not give specific addresses where animals were sent but identify small towns, such as Spofford, as their destination.) It’s impossible to confirm that the horses actually arrived there or to know where they might have gone next, however, because Texas is one of the few western states that do not require brand inspections when horses are moved or sold. There have been no horse slaughterhouses in the U.S. since 2007, when Congress barred funding for U.S. Department of Agriculture horse meat inspectors. Since then, horse slaughter has been outsourced. A 2011 report by the General Accountability Office found the export of horses for slaughter to Mexico shot up 660 percent after the ban. In Eagle Pass, as at other crossings, slaughter horses are checked by USDA veterinarians. A USDA spokeswoman refused to make veterinarians available for interviews but confirmed that vets sometimes see wild horses bearing the BLM brand in slaughter export pens. Brand documents leave almost 1,000 of Davis’ wild horses unaccounted for. That means they should still be within 75 miles of his residence— if he has complied with state law. Asked if this was the case, Davis first said the horses were still on 160 acres of land he leases from the state of Colorado. Then he said some had been shipped out of state without brand inspections, a misdemeanor punishable by up to 18 months in jail and a $1,000 fine. “Since when is anything in this country done legal?” Davis said in a phone interview. to Question His Plans for Wild Horses. Also, despite the obstacles that impede U.S. horse slaughterhouses, Davis said he has been trying to drum up investors to open a slaughter plant in Colorado. He said he had approached pet food companies to buy the meat and asked Ken Salazar’s brother, John Salazar, who is the head of the Colorado Department of Agriculture, to help him get a grant to finance the business. John Salazar declined to help Davis, and so far the slaughterhouse venture has not gone forward. Federal Officials Paid Little Attention. In late 2010, the BLM rounded up 255 horses in the Adobe Town wild horse area in Wyoming. A local loose-knit group of advocates had been photographing the herd for years. After the roundup, group members called BLM officials, looking to adopt a few of the animals, particularly an old stallion they had named Grey Beard. They were told that the horses had been claimed by an anonymous buyer who planned to resell them to large landowners looking for agricultural tax exemptions. The advocates tried to learn more about the buyer, but Spencer refused to give his name, citing privacy policies. Warnings from advocates about Davis do not appear to have prompted the BLM to reconsider selling to him. In fact, internal agency e-mail shows that officials actively turned to Davis to absorb freshly rounded-up horses so they wouldn’t end up in the overloaded holding system. In January, the manager of the agency’s corral in Burns, Oregon, e-mailed superiors in Washington, D.C., to ask what to do with 29 mares, almost all of which were pregnant. Spencer replied that Davis would take them. November 11, 2012, 9 a.m. Updated November 13, 2012, 6:48 p.m.
Colorado officials are considering whether to prosecute Tom Davis, who has bought more than 1,700 wild horses from the federal government since 2008, for violating laws meant to deter livestock theft. A southern Colorado man under investigation for his handling of protected wild horses has admitted to state regulators that he shipped animals out of Colorado in violation of brand inspection laws, officials said. Officials with the Colorado Department of Agriculture’s Brand Inspection Division have turned the case involving Tom Davis over to the district attorney in Alamosa for prosecution. “The brand laws are some of the oldest laws in the state. They are there to prevent livestock theft and we take them very seriously,” Brand Commissioner Chris Whitney said. Tom Davis, 64, a livestock hauler and proponent of the horse meat industry who lives in La Jara, 15 miles southwest of Alamosa, has purchased more than 1,700 wild horses from the federal Bureau of Land Management since 2008—roughly 70 percent of all horses sold by the agency. Davis signed agreements with the BLM, which is charged with managing and protecting wild horses, promising not to sell any to slaughter. As detailed in an investigation published by ProPublica in September, Davis has brand inspection documents for 765 horses, which say he shipped these animals to Texas towns near the Mexican border. There is no information about disposition of the other horses he purchased from the BLM. In an interview this spring, Davis said he found the horses good homes but declined to provide records showing what happened to them. Reached by phone at his home this week, he said again that he has lived up to his sale contracts with the BLM. Animal welfare advocates fear the mustangs purchased by Davis were exported to Mexican slaughter plants. An estimated 37,000 wild horses, descended from escaped Spanish steeds and Indian ponies, as well as ranch strays, roam public lands in the West, where they have been protected by law for decades. Selling them for slaughter is illegal. The ProPublica account caught the attention of the Colorado Department of Agriculture, which requires all livestock in Colorado to be inspected by the state when shipped over state lines to prevent livestock theft. Davis acknowledged he had spoken to Whitney but said he was not aware he could face prosecution. The brand office is turning over the case to Colorado’s 12th Judicial District Attorney, David Mahoney, Whitney said. If convicted, penalties range from a small fine to prison time, depending on whether the violations, which records suggest span years and many truckloads of horses, are charged as one infraction or hundreds. “That is up to the prosecuting attorney,” Whitney said. The district attorney could not be reached for comment. Davis is also the subject of a federal investigation. The probe was opened in June by the BLM’s law enforcement division but is now being handled by the U.S. Department of Interior Office of Inspector General (IG), according to Interior spokesman Blake Androff. Often the inspector general takes over cases in which there is a potential conflict or involvement by the agency. “By law and in practice, the IG’s office is independent from the Office of the Secretary,” Androff said. The inspector general’s office did not respond to questions about the subject and scope of its inquiry. Wild horse advocates welcomed the news of the potential prosecution but said any investigation would be incomplete until it includes the actions of the Bureau of Land Management and its parent agency, the Department of Interior. E-mails among BLM staff obtained through a Freedom of Information Act request show the BLM turned to Davis as a way to get horses out of government care. BLM employees would contact Davis, encouraging him to buy dozens of mustangs at a time, sight unseen. Davis was vague in communications with the agency about his plans for the hundreds of untamed horses, according to BLM documents, saying he was going to use them as movie extras or sell them to graze on oil fields. The BLM did not attempt to verify his claims about where the horses went. When concerns were raised by horse advocates, the sale program director who approved Davis’ purchases assured them that the buyer in question had a long relationship with the BLM and was “above reproach,” according to an e-mail that Sandra Longley, one of the advocates who had misgivings about Davis, sent to other advocates. In the past, the BLM has arrested wild horse buyers for attempting to ship horses to Texas to sell for slaughter. In 2011, the agency arrested two Utah men, Robert Capson and Dennis Kunz, with a truckload of 64 wild horses bound for Texas, where, according to a federal indictment, they planned to sell the animals to an exporter for slaughter. The two were charged with wire fraud and making false statements, both felonies. Capson pleaded guilty this summer. Kunz is awaiting trial. December 9, 2012, 7 a.m.
Secretary of Interior Ken Salazar says he will tighten regulations of the federal government’s wild horse program, restricting the number of horses people can buy and making it easier for the government to prosecute buyers who sell mustangs to slaughter. Secretary Salazar laid out the plan in an interview on Thursday with The Gazette in his Washington, D.C., office, saying the changes were in response to a ProPublica investigation published in September that questioned the fate of animals sold to Tom Davis, a San Luis Valley livestock hauler who has bought more than 1,700 horses through the program since 2009, 70 percent of those sold in that time. Davis maintains he has found the animals “good homes.” Wild horse advocates fear they ended up in Mexican slaughterhouses. Davis subsequently told Colorado officials that he shipped some horses out of state in violation of brand inspection laws. The Colorado Department of Agriculture has turned the case over to the district attorney in Alamosa for prosecution. Those who buy horses from the federal government already sign contracts saying they will not resell animals for slaughter. Secretary Salazar is beefing up the language in contracts to specify that buyers can face prosecution for any “material misrepresentation” on sales applications or bills of sale, or for indirectly selling horses to slaughter by reselling to middlemen. Under the new rules, buyers also will only be able to acquire five wild horses every six months. Any order larger than that will require the signed approval of the BLM’s deputy director. As Secretary of Interior, Ken Salazar oversees the Bureau of Land Management, which cares for most of the 35,000 wild horses roaming public lands in the West. They are protected by law from harassment, capture, or slaughter. The agency has claimed it screened buyers and that no horses in its care went to slaughter but did nothing to verify what happened to horses after sales to Davis and others were complete. For years, the agency’s sale director in Washington sold Davis truckload after truckload, sometimes contacting him to see if he would like more. “When I became aware of the magnitude of his purchases and the concerns of illegal activity, I asked the BLM to open an investigation of Tom Davis,” Secretary Salazar said. Salazar has lived for decades in the same rural ranching corner of Colorado as Davis. In an interview this spring, Davis said he knew Ken Salazar and had hauled cattle for him for years. The government started selling horses to Davis in large numbers shortly after Secretary Salazar took over the agency. For months Salazar’s office did not respond to requests for comment about his connection to Davis. When a Gazette reporter asked about Davis at a public appearance in Colorado Springs in early November, Salazar pushed the reporter’s camera aside and said, “You do that again, I’ll punch you out.” After his words became the subject of media reports across the country, Salazar called The Gazette to apologize and agreed to an interview. Secretary Salazar Plans for the Sale Program. “These are positive steps,” said Suzanne Roy, director of the American Wild Horse Preservation Campaign. “It could stop a situation where applications are getting rubber stamped while the BLM looks the other way.” But Roy agreed with Salazar that the fixes don’t address the broader flaws in the program. 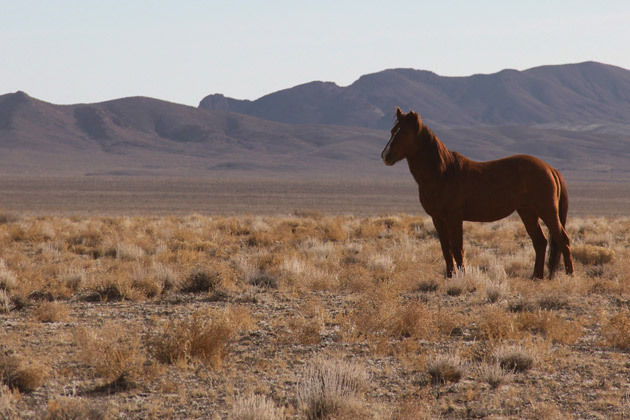 Starting in 2010, the BLM set goals for numbers of horses to be treated with contraceptive drugs, but critics say the goals were too modest to be effective, and the BLM never came close to meeting them. In its January 4 news release, the BLM announced a new policy, effective immediately, regarding new conditions and restrictions on wild horse and burro sales. 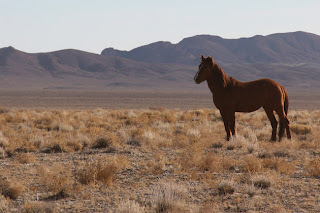 The policy directs that no more than four wild horses and/or wild burros may be bought by an individual or group within a six-month period from the BLM without prior approval of the Bureau’s assistant director for Renewable Resources and Planning. 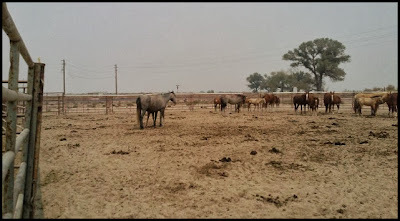 When buying wild horses and/or wild burros, purchasers must describe where they intend to keep the animals for the first six months following the sale. Without prior approval from the assistant director, the BLM will not sell more than four animals destined for a single location in this six-month period. 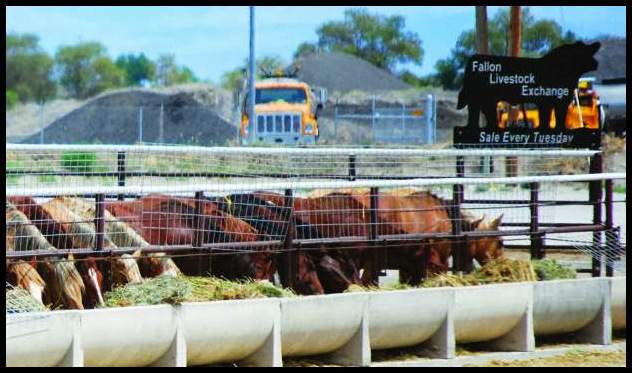 The BLM will inspect trailers and reserves the right to refuse loading if the trailer does not ensure the safety and humane transport of the animal. In the news release, the BLM also encouraged anyone who has observed inhumane treatment, or the sale to a slaughterhouse of a federally protected wild horse or burro, or who has factual information about such an incident, to contact the Bureau at wildhorse@blm.gov or 866-4MUSTANGS (866-468-7826) with your name, contact information, and specific information about what you saw or know about. On January 16, Secretary Salazar announced his intention to leave the Department of the Interior by the end of March. In spite of our recent 16 inches of rain, everyone is doing exceptionally well. 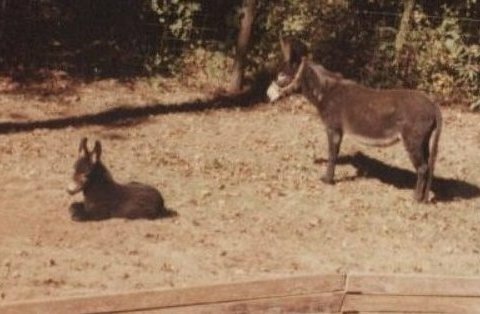 Except for small areas, our barns were completely flooded, so it was difficult finding enough dry spots to put down hay for the donkeys. They took it all in stride and waited patiently for me to give them their hay. From my perspective, it was a small disaster. Now, another large expense to repair the damage!